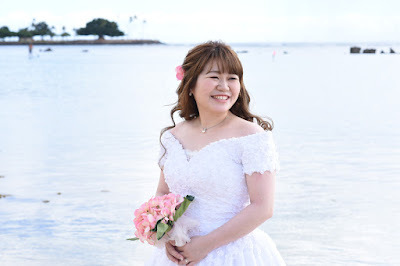 Last day of 2018, ending the year with Mizuki at Plumeria Wedding Chapel in Honolulu. 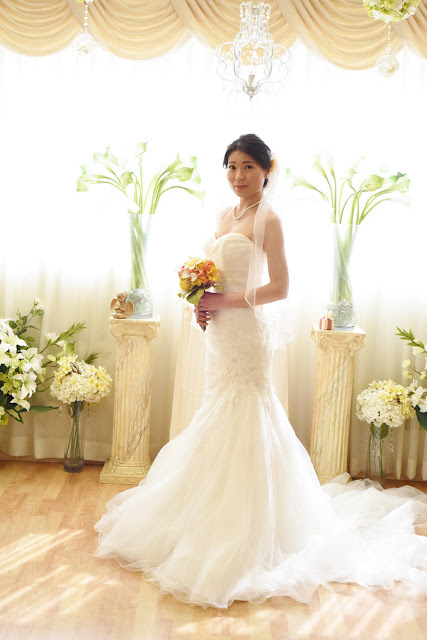 Very nice choice of wedding dress! Suits the Bride well. 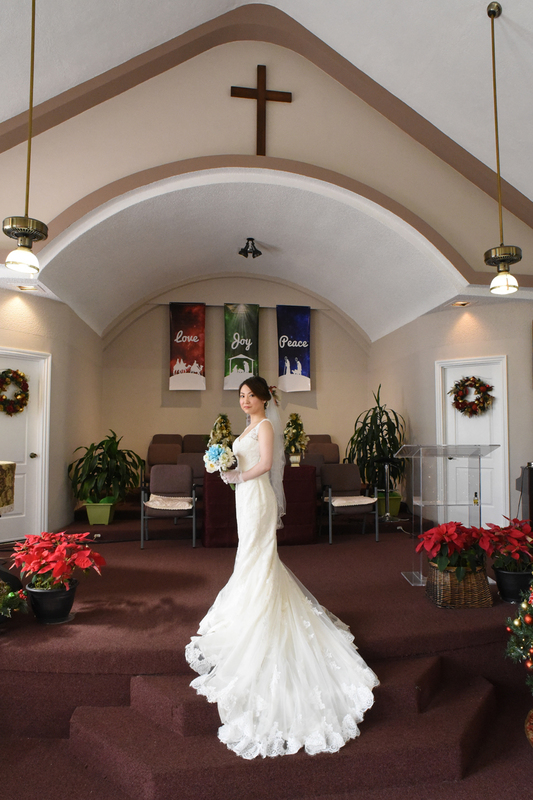 Time to search through the Brides of December and choose our BRIDE OF THE MONTH. 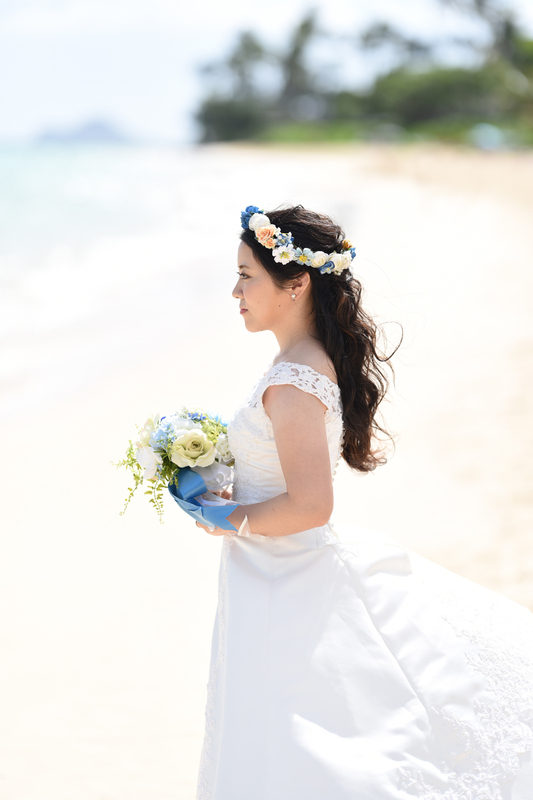 Lovely Bride Hiromi. 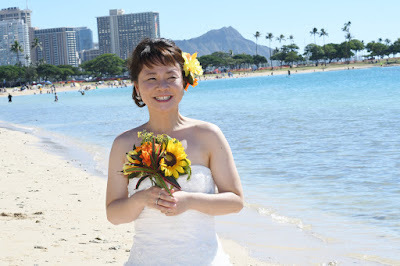 Wishing you much Aloha from the land where palm trees sway. This "attitude" shot is one of my favorite bride poses. 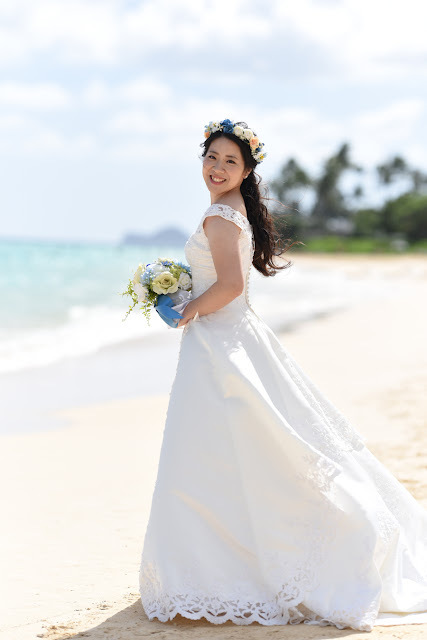 Japanese Bride in Honolulu. Diamond Head is the most famous landmark on Oahu. 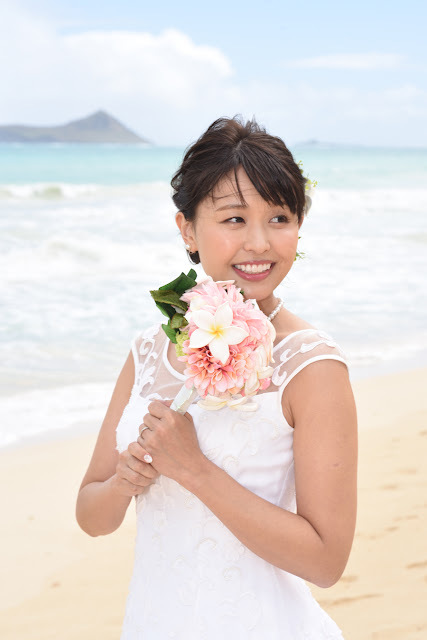 Looks great in the Hawaii Bride pic! 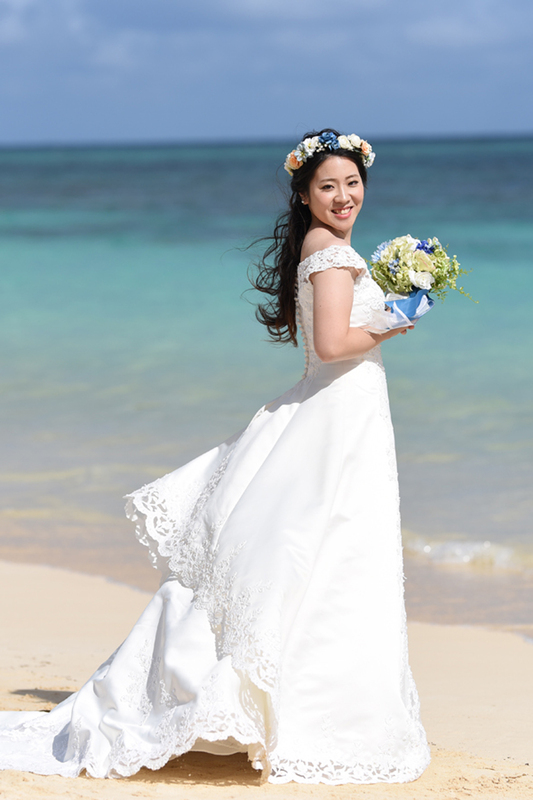 Reina means "Queen" in Spanish, but this Bride is from Japan. 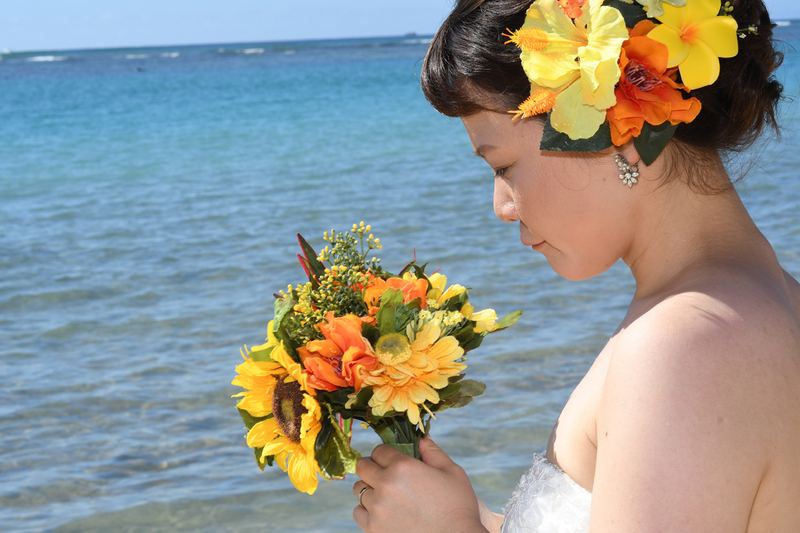 Bridal photos in Honolulu, Hawaii by Photographer Robert Hamilton. 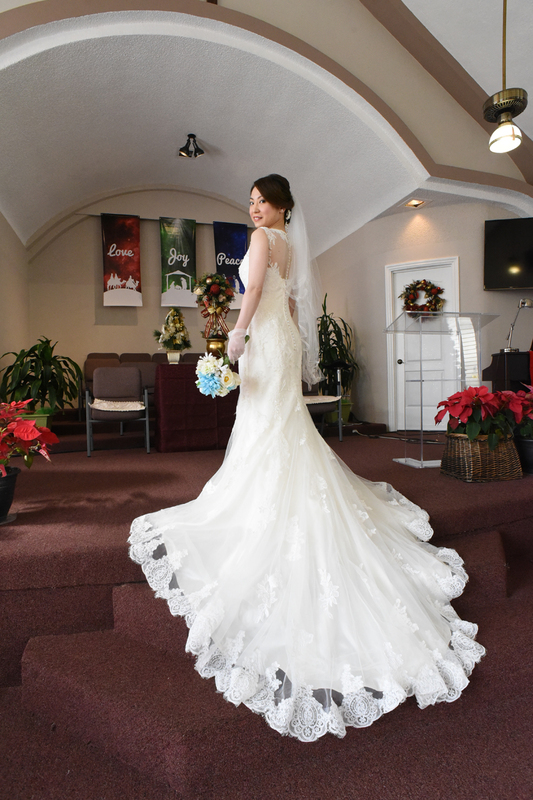 Kiyomi means "pure beauty". Sounds good to me! Her smile is her charm. Fair skin matches her as well. 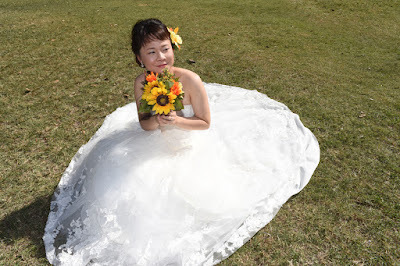 And a fine choice on the Bride's wedding dress! Japanese Bride shoots great pics at Plumeria Wedding Chapel in Honolulu. 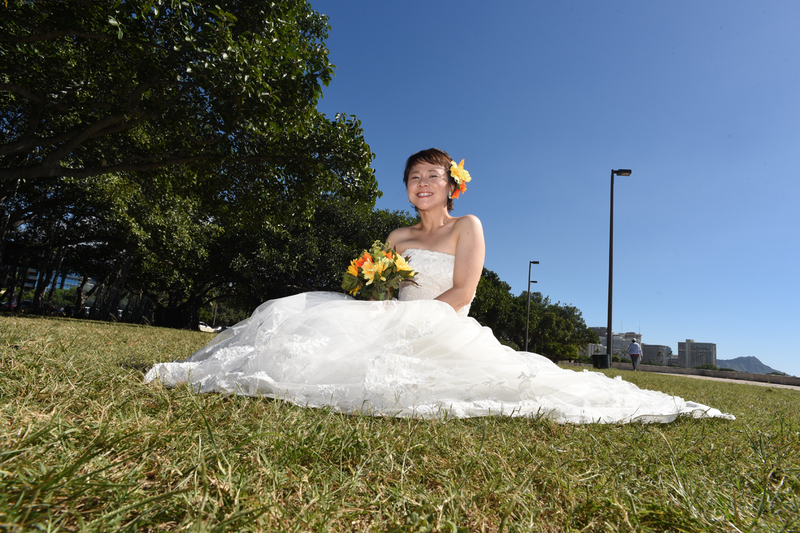 Nice spot to show off your wedding dress. No wind, noise, harsh sun or rain. Very comfortable indeed. 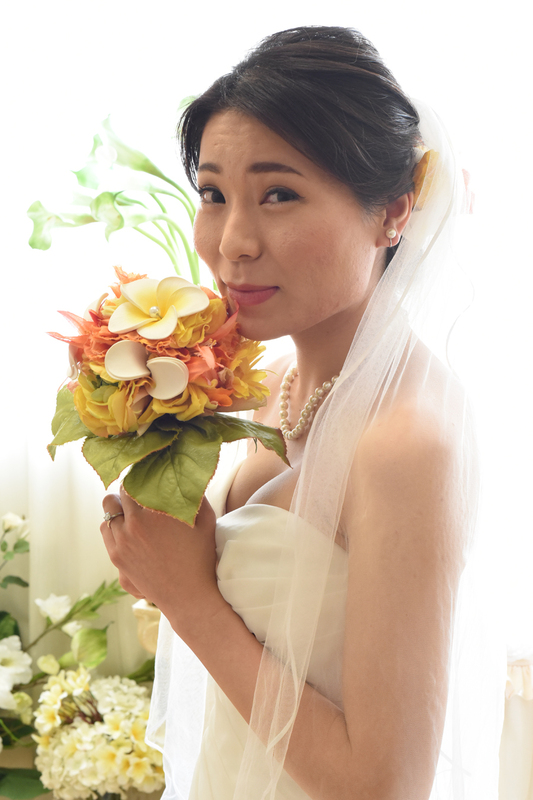 Lovely Japanese Bride Yoshiko holds her christmas style silk flower bouquet. 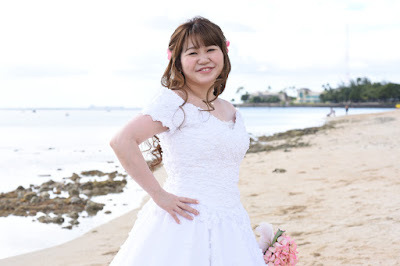 Photo shoot at Magic Island, South Oahu. 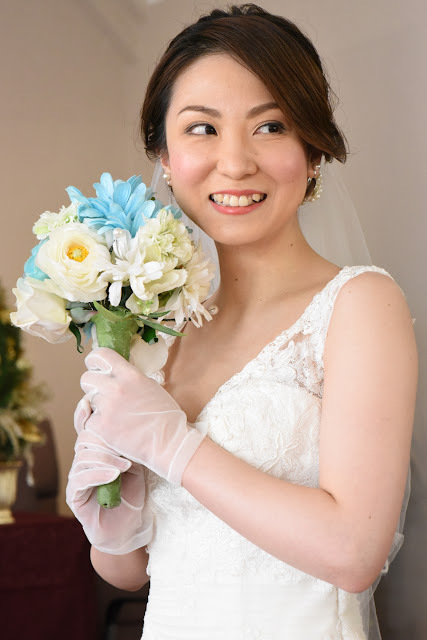 Japanese Bride Yukie holds her silk-flower pink bouquet. Photos taken at Ala Moana Beach Park in Honolulu, Hawaii. 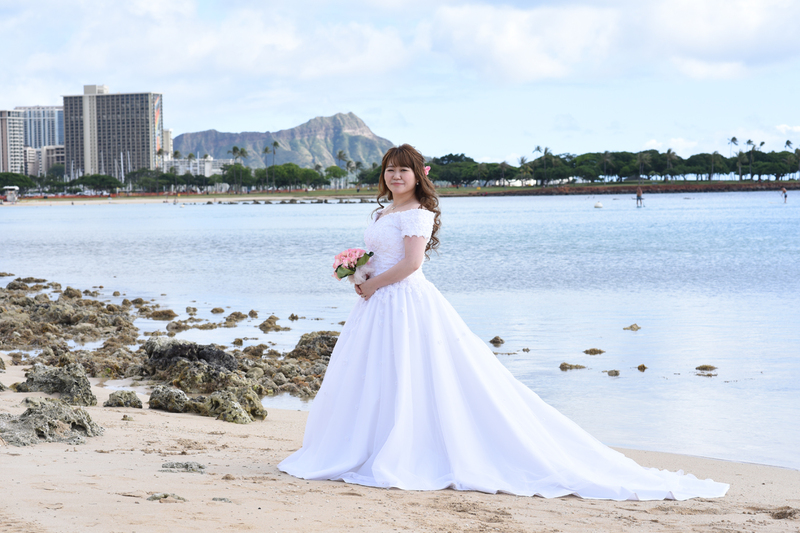 Beautiful wedding dress and marvelous view of Diamond Head. Lovely Bride Yurika at Waimanalo Beach. 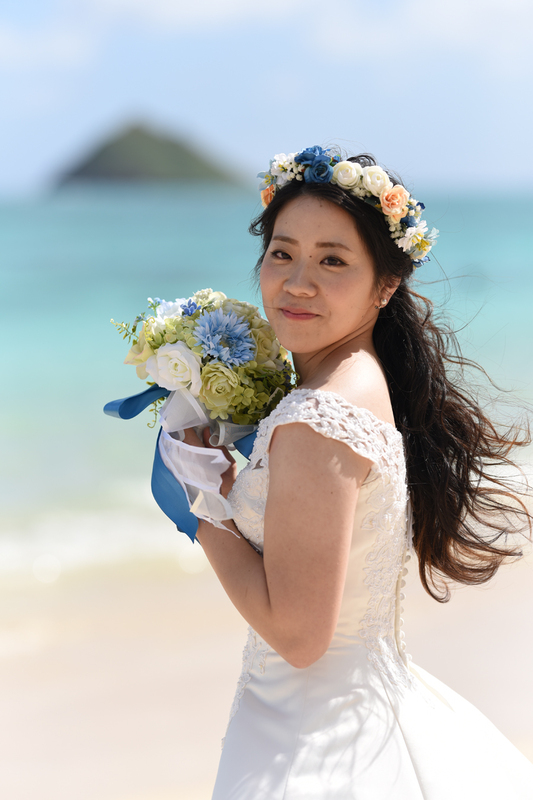 Welcome to our Brides of Hawaii bridal photo gallery. Gorgeous spot for Oahu Bride photos here at Lanikai Beach in Kailua, East Oahu. 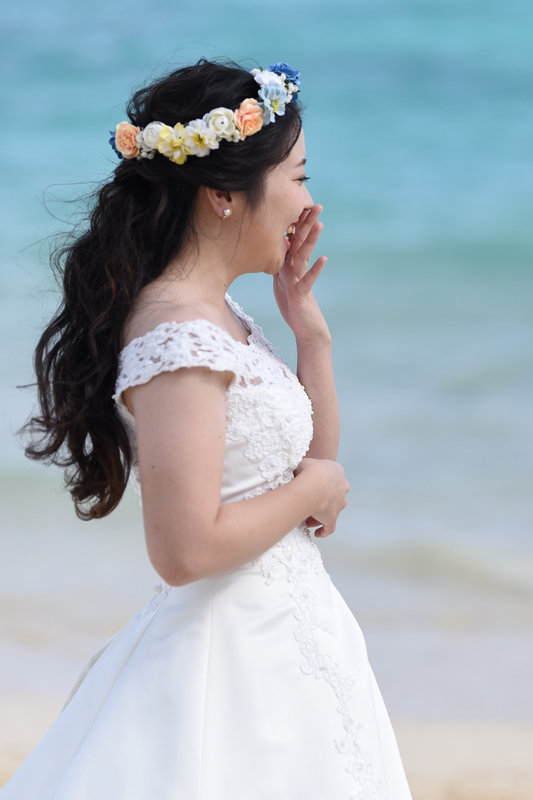 This may be my favorite photo out of the bunch. 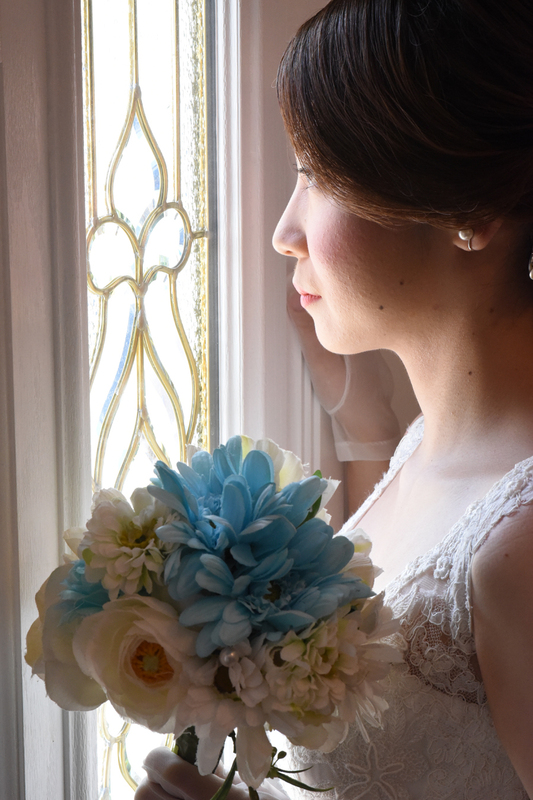 Love the soft backdrop with the Bride in focus. 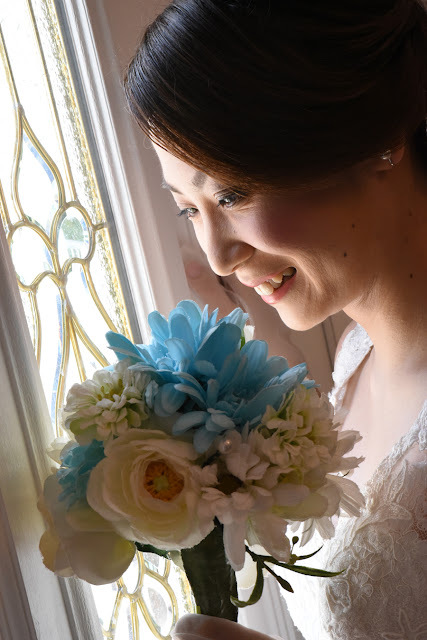 Pretty Japanese Bride holds her white & blue silk flower bouquet. Hawaii Bride photography at Ala Moana Beach Park. Photos by Robert Hamilton.